When is a recipe not a recipe? In my experience in research in the history of medicine, a recipe is part of a readily recognizable genre – each one includes elements such as a set of ingredients, instructions, indications and other information which can be collected, shaped and re-issued with, or without, a known author. Probably there are better definitions. But what about medicinal recipes which have not quite made it in terms of recognizable status for use or to show to others? Occasionally, along comes a recipe that started life as a recipe but is no longer a recipe: perhaps we can call it a ‘not-recipe’. 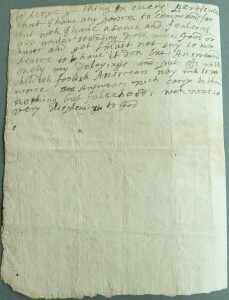 One such example can be found in the Fortescue papers at Devon Record Office in south-western England. This item flags up the frustrations felt by one particular individual in her search for therapeutic effectiveness. It reflects another side of the ’emotional life’ of recipes noted in recent posts by Montserrat Cabré and Elaine Leong. Fig. 1. ‘Scrofula’, Byron Bramwell, Atlas of Clinical Medicine v. II, pl. XXXII (Edinburgh, Constable, 1893), 5. 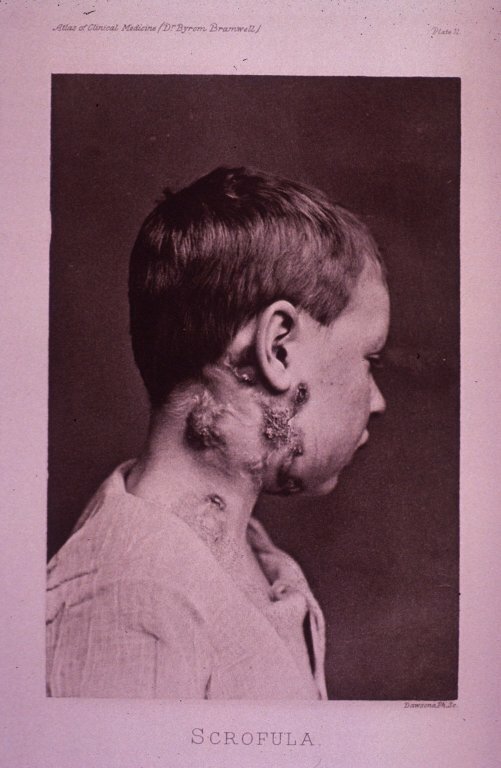 Courtesy of the National Library of Medicine. 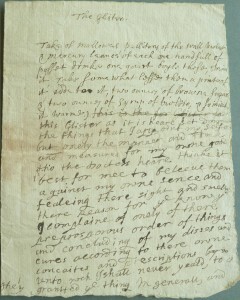 Within the Devon archive there are many medicinal recipes collected by the Boscawen family, particularly Margaret Boscawen (d. 1688) in Cornwall and subsequently her daughter, Bridget Fortescue (1666–1708) in Devon. Both women were married to members of parliament and some correspondence survives to give a picture of family medical matters. 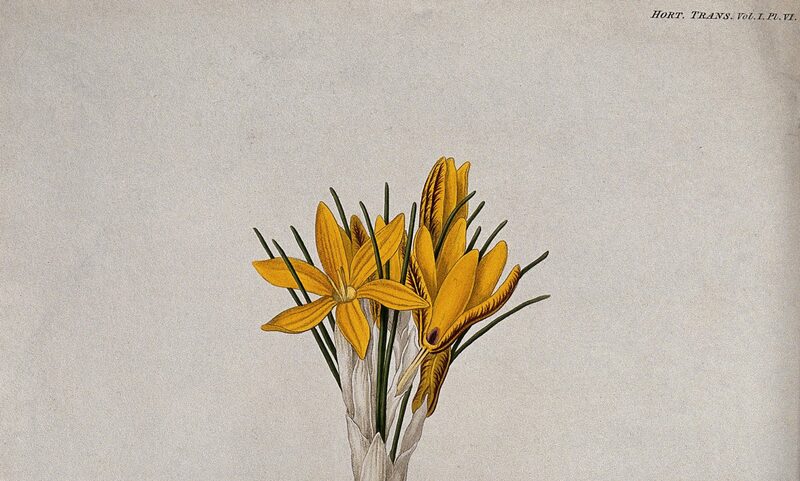 Margaret was reputedly ‘much imployed about the sick’ but averse to doctors (1). Bridget suffered lifelong from a condition generally known as the King’s Evil (probably scrofula, a tubercular disease) which caused enlarged and suppurating sores in the neck and head area (Figure 1). While Bridget was still young, Margaret began to collect advice and recipes for the King’s Evil (2). Fig. 2a ‘The Glister’, Devon Record Office, 200 recipes – mainly concerned with ague, plague, rickets, gout and worms. Boscawen, 1688-1687, Fortescue 1262M/FC/8. Courtesy of the Countess of Arran (Fortescue Papers). 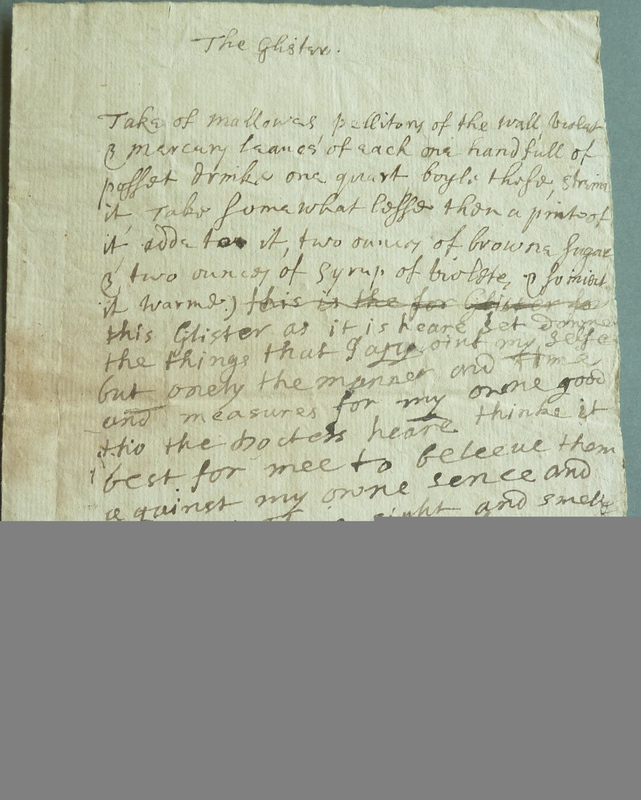 Take of mallowes, pellitory of the wall, violet and mercury leaues of each one handfull of possett drinke one quart boyle these, strain it, Take some what lesse than a pint of it, adde to it, two ounces of browne sugar and two ounces of syrup of violetes and so mert? it warme [‘this is the for Glister for’crossed out] this Glister as it is heare set downe the things that I appoint my selfe but onely the manner and time and measures for my owne good tho the Docters heare thinke it best for mee to beleeue them against my owne sence and fealeing there sight and smell there reason for the know that I complaine of onely of there preprosporous order of things and concluding of my disses ancures according to there own concaites and prescriptions [‘by so’crossed out] unto wch I shuld never yeald, to they granted the thing In generall and to denye the thing In euery perticular that I have any powre to command: for that wch I haue a sence and fealeing and understanding doth mee Good or hurt and yet I must not say so nor desire to haue it don but Answeard onely my delayings and put offs with childish foolish Answears nay wch is worse Answears wch carry in them nothing but falsehoods wch was so very displeasing to God (3). Much could be said about this not-recipe, which is a vivid demonstration of an individual in conflict with the ‘preposterous’ medical advice about her treatment as she complained about her lack of ‘powre to command’ in medical matters. A recipe that might have revealed a potential for therapeutic determination has become an expression of powerlessness. A key aspect of this not-recipe is that it could never have been included in a collated family recipe book. Although the not-recipe started out as a recipe within the accepted genre, it does something other than provide a respectable, therapeutic claim which can be safely aired in public. Rather, this not-recipe revealed private and emotional frustration in medical matters. Perhaps there are more not-recipes: they need attention in our studies of recipe collections, as they help to illuminate beliefs and practice alongside the more visible inclusions in recipe collections. 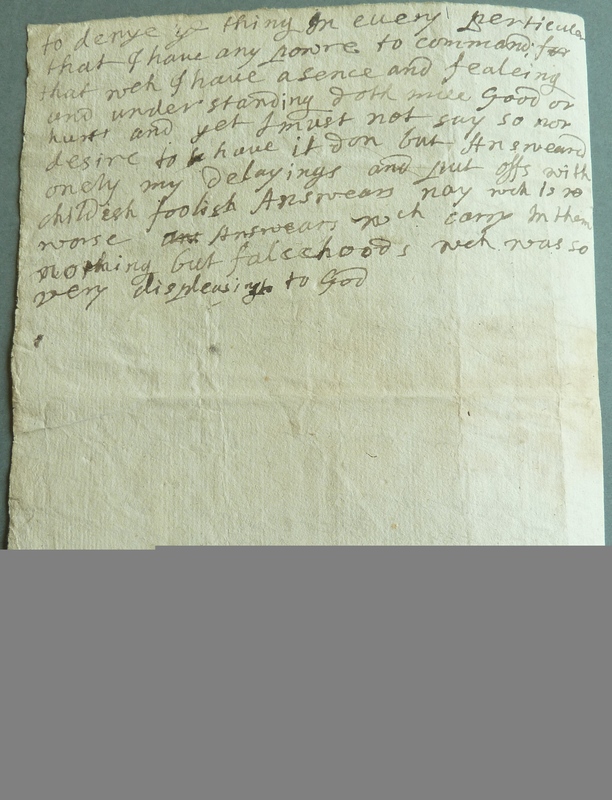 (1) Devon Record Office, Fortescue 1262M/ FC/1, 54 Boscawen family letters, 1664–1701, ‘Sister Clinton’ to Lady Margaret Boscawen, 28 April 1683. (3) Devon Record Office, 200 recipes – mainly concerned with ague, plague, rickets, gout and worms. Boscawen, 1668-1687, Fortescue 1262M/FC/8, ‘The glister’. Anne, this is such an interesting post. You show a good example of how emotions have been inscribed in recipe or, to follow your terminology, non-recipe texts. But it seems to me that there is a very important question behind your contribution: we give for granted what a recipe is, and this is something historians should not do. We lack a historical cartography of recipes – both, collections of recipes and as single units. We could learn a lot from it: there is content in the form. Hi Montserrat, yes, I feel that it is an important point that we should not take for granted the nature of recipes. Although we can readily distinguish items which ‘fit’ the recipe genre and those that do not, and many recipe collections reflect decisions about inclusion/exclusion made by earlier compilers, that distinction can imply that the items are complete recipes (in the sense of having all the characteristics of a recipe). I have been fascinated by the loose recipes that seem to have fallen by the wayside, ‘not yet’ recipes (or never? ), rather than being included in a collection. Do tell more about a historical cartography and how it might be achieved!